Amos graduated from the National University of Singapore with a Bachelor of Laws (Honours) degree in 2011 and was called to the Singapore Bar in 2012. 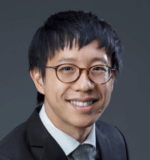 He completed his training and practised with several other medium sized firms before joining Yuen Law LLC as a senior associate in 2018. Amos’s main areas of practice are civil /commercial litigation and criminal litigation. Amos has also acted for and advised clients in many other areas of law including probate, bankruptcy, and construction arbitrations/adjudication applications. Assisted in a SIAC Arbitration involving a construction dispute worth in excess of S$12 million. Assisted in a High Court Suit where client was faced with a million-dollar civil claim, and defended client substantially, including succeeding on a point of law involving amendment of pleadings after trial. Obtained summary judgment for S$1.2 million in a civil claim, and assisted in defending the appeal to the summary judgment. Assisted in a dispute where we successfully obtained leave to initiate a Shareholders Derivative Action on behalf of the Company. Assisted in a Court of Appeal case regarding a striking out of third party proceedings. Assisted in a Court of Appeal case regarding a shareholders’ dispute. Assisted in a High Court suit regarding breach of employees’ duties. Defended an accused in a pro bono drug trafficking trial over 3 days. Defended an accused in a pro bono theft in dwelling trial over 8 days. Acted previously for both employers and employees in employment disputes in MOM Labour Court/High Court. Amos is also a volunteer lawyer with the Singapore Law Society’s Criminal Legal Aid Scheme (CLAS), a non-profit initiative by the Law Society of Singapore to provide assistance to the underprivileged in criminal cases, as well as a Singapore NGO that works with migrant workers. Outside of legal practice, Amos is actively involved in sports such as football and tennis and participates in such activities on a regular basis. Amos represents the Law Society football team in the annual Bench and Bar competition. Amos also plays board games regularly. Litigious proceedings are often baffling to a layman. We guide our clients in complex litigation and dispute resolution proceedings including commercial and contractual matters, shareholders disputes, employment disputes, construction claims, insurance claims, debt recovery, insolvency and defamation. We believe in being transparent about our pricing, for a accurate fee quote, please contact us at 9624 6855.